We hold our monthly matches on the third Sunday of the month at the private Fort Angeles Range in the Angeles Ranges Shooting complex. This is just across the street from Moore-N-Moore Sporting Clays. Sign-ins start 7:30 am and first round heads downrange at about 8:15 am and finish just before noon. Drop us an email at matches@goldenbears.org if you're planning to attend. Members pay only $15 for matches with non-members paying $20. Juniors shoot for free, and with prior arrangement first-time juniors will be provided a rifle and ammunition for free (contact secretary@goldenbears.org). Club meetings are held after the matches. 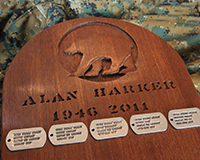 NRA approved matches are held throughout the year, and we also hold the Harker Memorial Match in honor of the club's founder. For match scores, check out the Newsletter page. Each month's scores are in that month's newsletter. 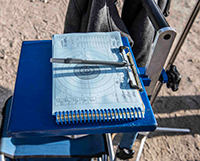 You'll also find scores for the Ojai Valley Gun Club there as well. We'll be working to update the scoring, so you can select a match and then see the results. Additonal practice sessions are on the Fort Angeles private range. They will utilize drills and coaching to allow shooters an opportunity to focus on improving their techiniques and scores. This will be a combination of live fire, dry fire, and discussion sessions. Sign-ins start at 7:30 a.m. and typically end about noon. Sundays - Fourth Sundays of the month. See newsletter for details or send email to president@goldenbears.org. First Sundays of the Month – Ojai Valley Gun Club holds full distance Across the Course (XTC) matches or Midrange (3x600) matches. Check out their website for details. Other matches and activies include reduce course matches and CMP clinics. Check website for full calendar. 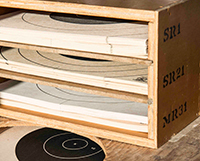 Second Saturdays of the Month – Burbank Rifle and Revolver Gun Club holds full distance Across the Course (XTC) matches. Check out their website for details. 1800 Americana Club – The 1800 Americana Club holds CMP Highpower and Rimfire Sporter events at their 100 yard range in Saugus. Contact Cam Loessberg at camljr@juno.com. This year's events will be on March 23, April 27, May 25, June 22, July 6, Aug 24, Sept 7, Oct 26, Nov 2, and Dec 7. Check out the website for details.